For the better part of the last 30 years, there’s been debate among the scientific community with regard to “consciousness”. 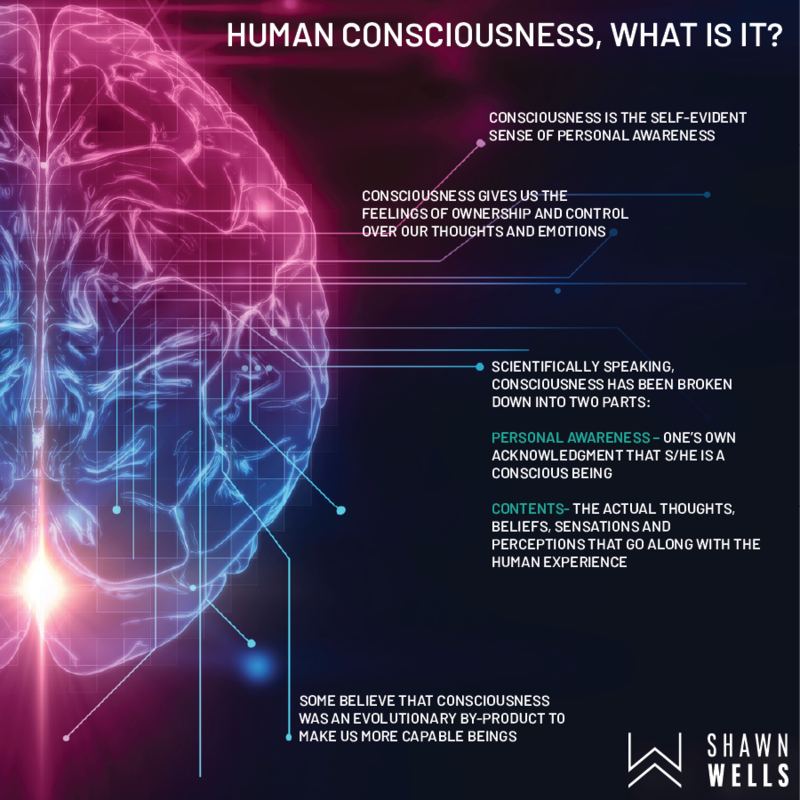 What is consciousness? What is its purpose? How does it arise? And lastly, do we actually control it? Initially, simple philosophical thought experiments and various meditation practitioners from the East drove the conversation on consciousness. In the mid-1900s, however, researchers in the West started taking notice. Considering that we have the capability to develop nuclear weapons of mass destruction, shouldn’t we be able to scientifically study the contents of consciousness? Unfortunately, dissecting the very complex construct of consciousness is much easier said than done. 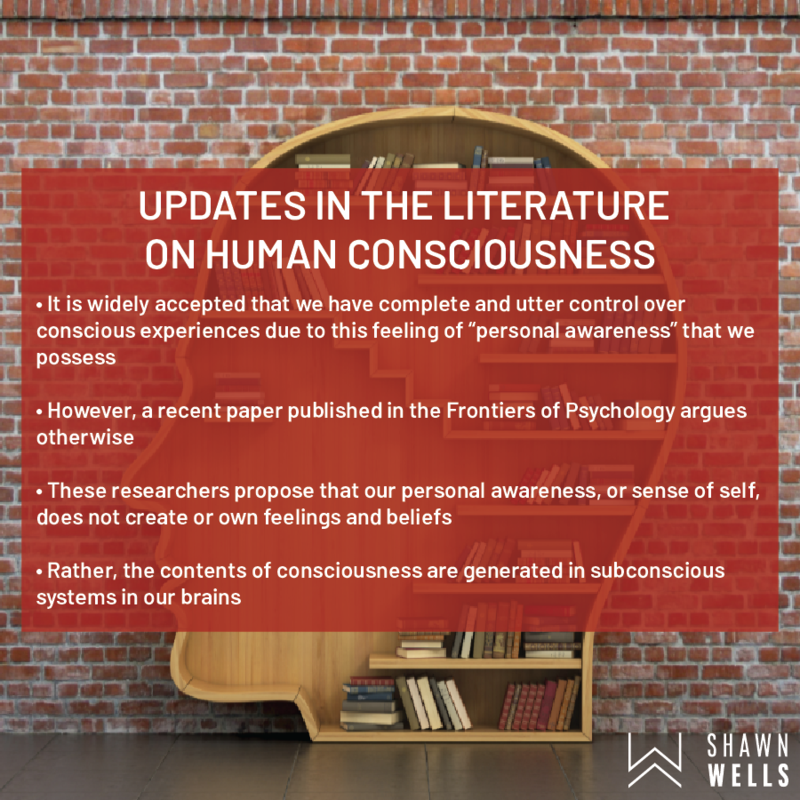 However, recent advancements in technology and improved understandings of our brain have led to a surge in the scientific literature on consciousness. What is consciousness? Essentially, every experience falls under the realm of consciousness. Simply put, it’s a framework for our mental processes and behavior. Traditionally, consciousness is broken down into two parts: 1. the actual experience of consciousness (i.e., the fact that we are aware that we are conscious beings), and 2. the contents of consciousness, which consist of our beliefs, sensations, perceptions, and emotions. 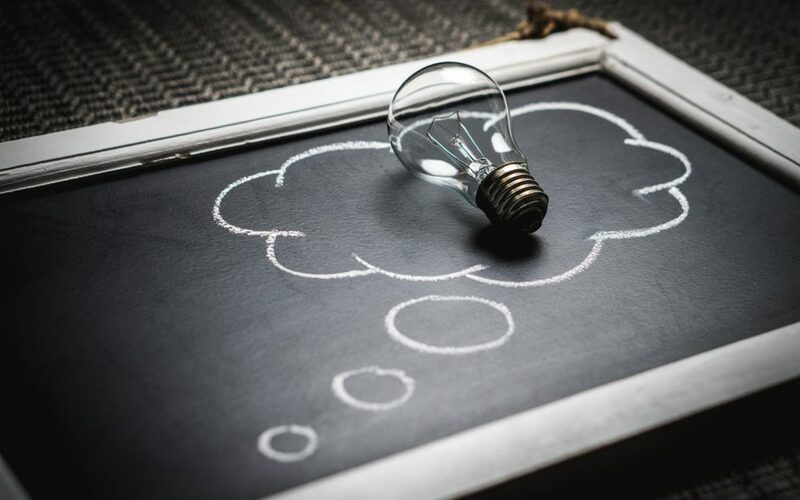 Many believe that we control our conscious experience—that consciousness is an evolutionary adaptation—and we have the ability to think introspectively and interact with the world. However, several cognitive scientists report otherwise. Oakley and Halligan (2017), for instance, reported in a recent publication in the Journal of Frontiers in Psychology that all contents of consciousness are generated by and within non-conscious brain systems. These fast-acting subconscious systems act behind the scenes and drive our thoughts and perceptions by creating this personal narrative we call “I”. These researchers suggest that this was an evolutionary adaptation. Specifically, this personal narrative allows us to share and receive information, and in turn, facilitates ideas, beliefs, and ultimately, the development of a supra-individual and social, cultural, and legal systems, which have enabled up to evolve as a species (1). While this may seem very abstract at first, there are several practical illustrations that may provide clarity. For instance, open-minded meditation (OMM) has been shown to increase neural plasticity and increase resilience (i.e., improve one’s ability to respond to stressful situations) (2). The practice of OMM consists simply being aware of one’s thoughts, feelings, and emotions as they arise. You can try this by sitting down for 10 minutes, simply focusing on your breath, and recognizing and acknowledging all the thoughts, sensations, and emotions that arise—many of which may seem to just pop up out of thin air. The goal is to not get attached to any of these thoughts, but rather, simply acknowledge them and move on. 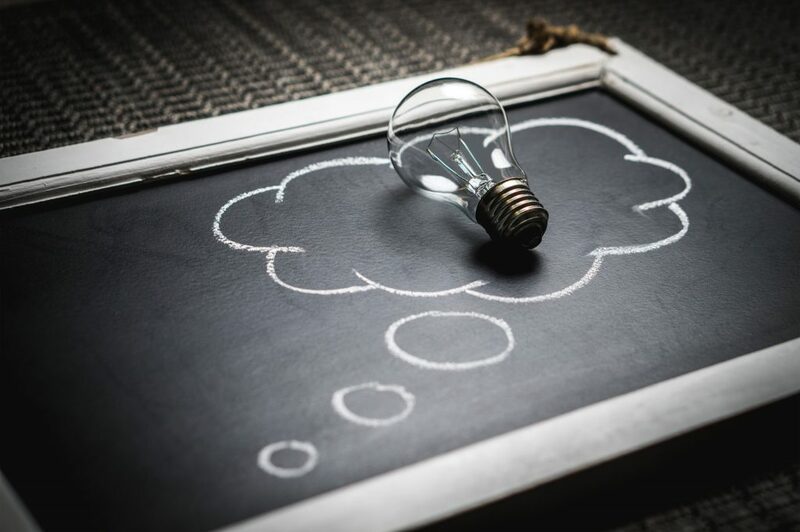 Once you have some experience with this, you may notice how thoughts seem to constantly be generated by some subconscious process, over which we may not entirely have control. While more research is needed before definitive conclusions can be drawn, the current body of literature is interesting nonetheless. Ideally, future research should aim to assess the components of consciousness with more objective metrics. Oakley, D. A., & Halligan, P. W. (2017). Chasing the Rainbow: The Non-conscious Nature of Being. Frontiers in Psychology, 8, 1924. Lippelt, D. P., Hommel, B., & Colzato, L. S. (2014). Focused attention, open monitoring and loving kindness meditation: effects on attention, conflict monitoring, and creativity–A review. Frontiers in psychology, 5. This site and its content such as blog, articles, podcasts, videos and social, provides general information and discussion about medicine, health and related subjects. The words and other content provided via this site, and in any linked materials, are not intended and should not be construed as medical advice. If the reader or any other person has a medical concern, he or she should consult with an appropriately-licensed physician. Never disregard professional medical advice or delay in seeking it because of some thing you have read on this blog or in any linked materials. If you think you may have a medical emergency, call your doctor or 911 immediately. The views expressed on this blog and web site have no relation to those of any academic, hospital, practice or other institution with which the authors are affiliated.